Having dinner at a Japanese steakhouse, watching the chefs in action at the Hibachi grill, is always a fun night out. So much sizzle. So much flavor — especially the delicious fried rice. 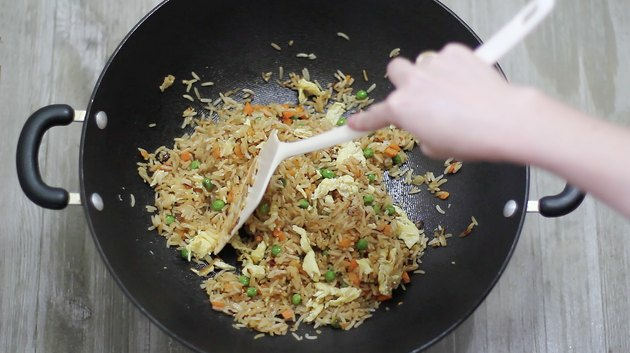 On those busy weeknights when you need dinner in a hurry, you can easily recreate the fried rice at home in less than 15 minutes. 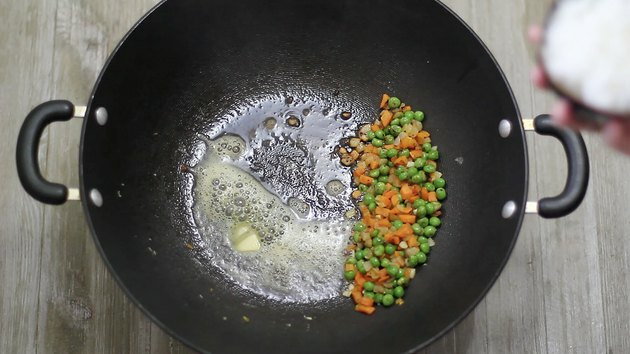 Start by turning your burner to high heat and set your wok (or large frying pan) on top. Once the wok heats up, add a tablespoon of butter and allow it to coat the pan. Hint: butter is the secret ingredient to this recipe. Add the egg and let it cook in one even layer before chopping it up with your spatula — with the skill and gusto of a real Hibachi chef, of course. 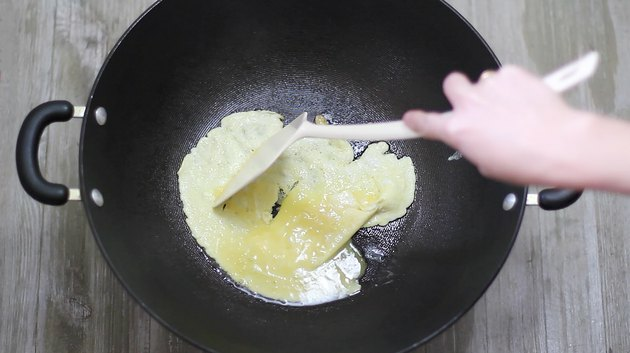 Transfer the egg to a plate and set aside. 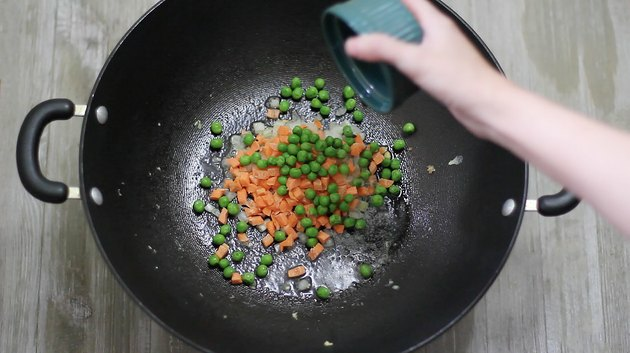 Add another tablespoon of butter to the wok, and then add the onions, carrots and peas. Cook for a few minutes and then add the garlic. Stir the garlic into the veggies and cook for one minute. Push all of the veggies to one side of the wok and then add, you guessed it, another tablespoon of butter to the empty side of the wok. Did I mention that butter is the secret ingredient? Add the leftover rice to the butter as well as the soy sauce and sesame oil. This is where you really develop the Hibachi-style flavor by stir-frying the rice and veggies together, pushing them around the hot pan for several minutes. Just before done, add the eggs back to the wok and stir back into the rice. Season with black pepper and stir; then turn off the heat. 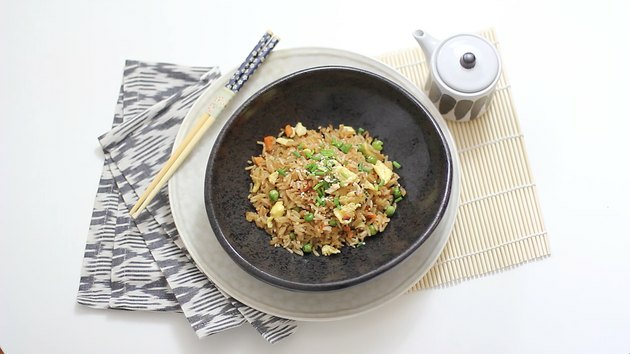 Transfer the fried rice to a serving dish and garnish with chopped green onions and toasted sesame seeds. 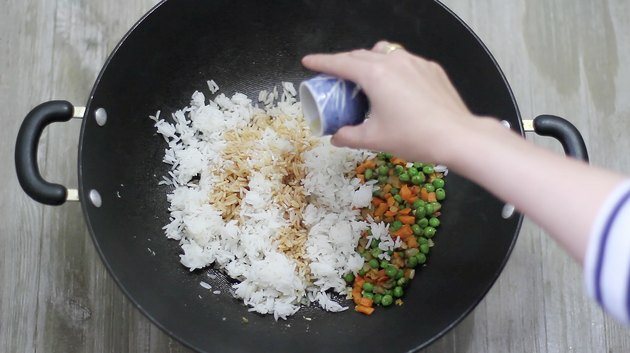 Serve additional soy sauce alongside the rice. 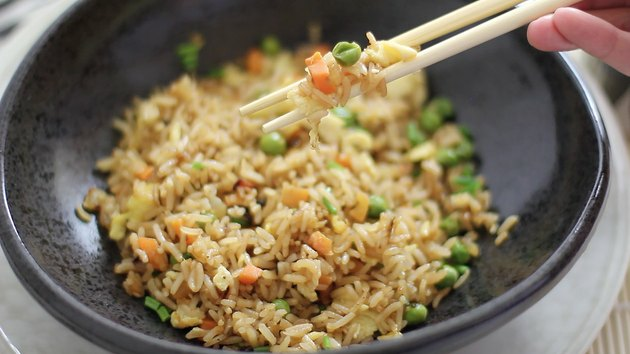 If you're the daring sort, enjoy your fried rice with chopsticks.